Home Unlabelled PRESIDENT OBAMA TO BE INSTALLED AS A LUO ELDER? 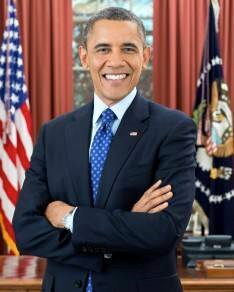 Arrangements are set to install US President Barack Obama as a Luo elder, when he visits the country next week. 81-year-old Mzee Adera Osawahe, the Luo community’s Council of Elders secretary general hope that Obama will keep his word of accepting to be installed as a traditional Luo elder. “As an elder I have always wished to do what it is required by honouring President Obama who is the son of our soil. We were discussing the possibility of installing him as a Luo elder and he agreed. He confided in me and my chairman Riaga Ogallo that we would do it next time he comes. When the news of his visit came, I started preparing because I knew he will keep his promise of being installed as a Luo elder,” he said. During their previous meeting, they handed over a Luo traditional walking stick to President Obama who was still serving as the senator of Illinois. “The walking stick was a sign of blessings for him after he had expressed interest in running for the presidency and we agreed that after clinching it , we would line up a big traditional ceremony. We knew as elders that what we prayed for came to pass, we gave him our blessings and he won it by a landslide. This is a special chair in our community and we believe that it can only be given to someone who is highly respected. I must go there (US Embassy) and my wish is that they will accept my proposal because the President agreed to our requests as Luo elders.” he added. The elders have also set aside a beaded hat, a fly-whisk and a special walking stick which they intend to present to Obama. Mzee Osawa says: “These are special Luo regalia that befits a leader of his status. Not everyone is given those special attires.” Among the leaders Mzee Osawa has installed include President Salva Kiir of Southern Sudan, Yoweri Museveni of Uganda, former President Mwai Kibaki and former Prime Minister Raila Odinga.